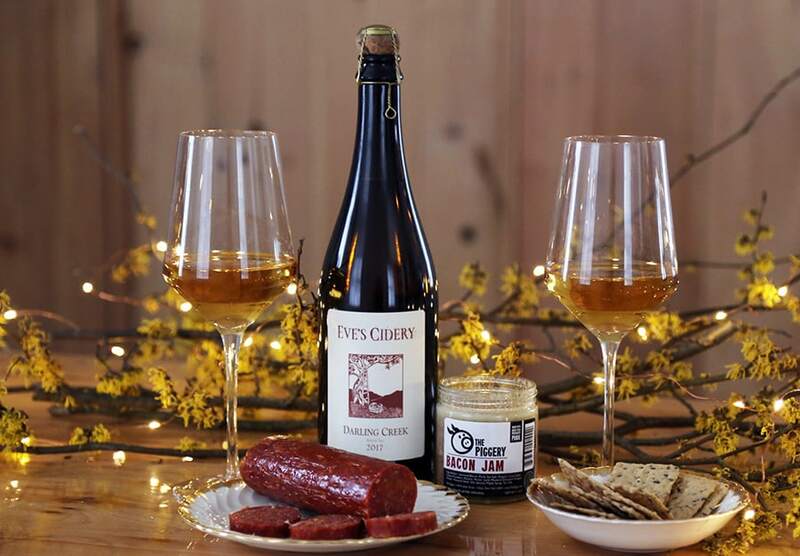 Experience the magical pairing of cider and pork! As they say: "What grows together, goes together." In this case its a rich, tannic, sparkling cider made from our own estate grown, bittersweet cider apples and The Piggery's pastured raised, heritage breed, nitrate-free pork products. All grown and made in the beautiful Finger Lakes region of New York.